Contracting at Guaranteed Commissions - Call (800)770-0492, email [email protected], via chat, daily conference call or Click eContracting Portal. You can start selling Life Guaranteed Issue Gerber Life and other products Today! Send us your first application (applications below) along with the eContracting/Appointing (link above) and start selling Guaranteed Issue Life Insurance to people aged between 50 and 80 right now! The Gerber Life Guaranteed Insurance Plan offers your clients security in knowing that their final expenses are covered, no matter what. This guaranteed insurance will provide up to $25,000 towards leftover debt, medical bills and funeral expenses. First application to the client must be in paper form - afterwards over the phone - eApp selling allowed. In order to expedite matters please eContract/Appoint 10 business days before your first application. Contracted/Appointed agents able to sell guaranteed issue FEX ($5K to $25K - ages 50 - 80), The College Plan (10K to $150K), the Grow-Up Plan (14 days to 14 years - $5K to $50K) & Accident Insurance (ages 18 to 69 - $50K to $250K). Call toll‐free 800.428.4947 to reach Gerber Life’s Agent Call Center and our 24/7 Interactive Voice Response System. 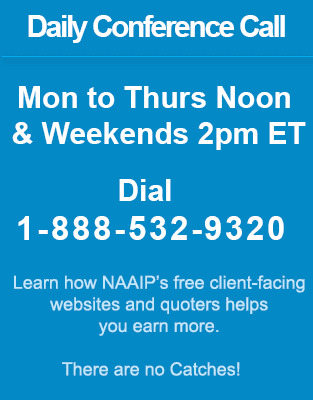 Representatives in call center are available Monday through Friday, from 8:30am-6:00pm ET. Gerber Life does not offer ANY hard copy supplies, everything is downloaded off their portal. You appointment gives you access to all 4 of their products; Guaranteed Issue, College Plan, Grow Up Plan, and Accidental Protection. Gerber Life is a Just In Time Appointment, it isn’t until an agent has written their first piece of business that Gerber Life issues a writing number. Therefore, in order to access application kits, brochures, rates, etc. that are needed to write that first piece of business, you will need a temporary log in user ID and password. Below you will find a training link, with a universal log in which agents can use to retrieve and download materials. Keep in mind, agents must submit their first piece of business directly to us for processing. Once completed, the agent will receive an email directly from Gerber Life, with their writing number and instructions on how to register on the portal creating their own personal log in information. At that time, agents can begin submitting business electronically or direct to Gerber Life. Training Link for Gerber Life apps, brochures, etc. Request Password via the econtracting Portal at top of the page or in NAAIP Back Office under Latest News. This will allow you to retrieve Gerber Life applications via the link just above. First application to Gerber Life must be in paper form. Download the application for Gerber Life Guaranteed Issue: Gerber Life Application Kit. This can be used for all states except CA, CO, DE, DC, FL, NY, ND & SD. This can be used for all states except CA, CT, DC, DE, FL, NY, ND & SD. The average cost of a funeral will amount to approximately $10,000. Should your client's family experience an unexpected fatality, they could be faced with additional distress from the financial difficulties a death in the family can create. The excellent value Gerber Life Guaranteed Life Insurance Plan eases the burden of your clients' final expense bills by providing up to $25,000 which helps pay for leftover debt, medical bills, and funeral fees. In addition, these Final expense Life policies build a cash value over time, which your client can access should they need the money earlier than planned. These are graded death benefit whole life plans from Gerber Life. If the cause of death is accidental, the beneficiary receives 100% of the death benefit. Should a client die within the first 24 months of the plan, for anything other than accidental reasons, all premiums are returned to the beneficiary, plus 10% interest on their payments. After this period, clients will receive the full face amount of the policy, irrespective of cause of death. There are no medical examinations or health questions asked with Gerber's guaranteed issue final expense policy. * The information provided is intended for licensed insurance agents only. It is not intended for the purpose of advertising the insurance products to the general public. Certain exclusions may apply. Appointed agents may offer plans offered by insurer. All products not available in all areas. Not affiliated with the United States Government or the Federal Medicare Program.